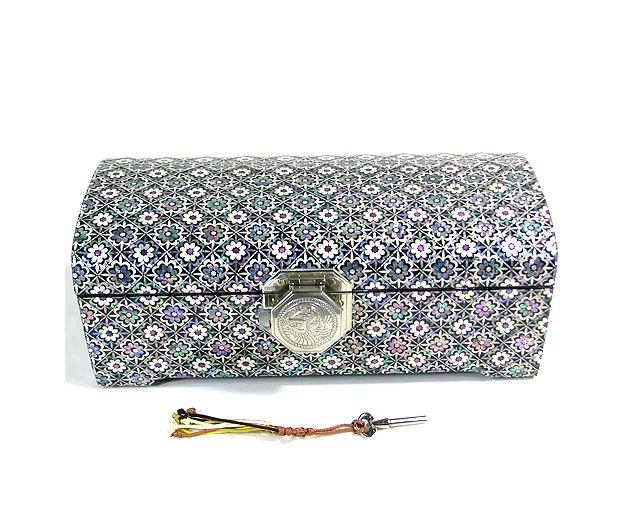 This rectangular jewelry box is a true reflection of mother of pearl craftsmanship. 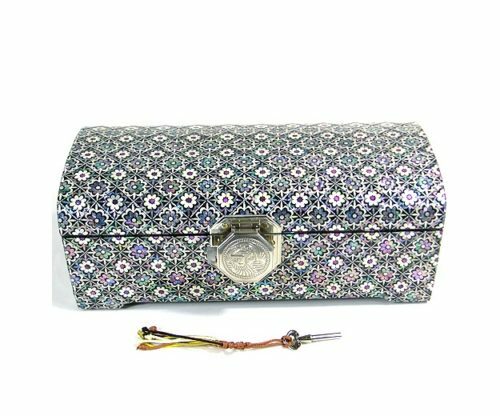 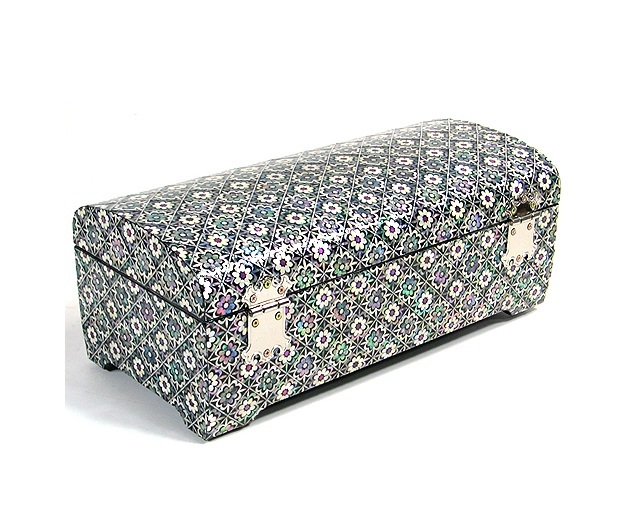 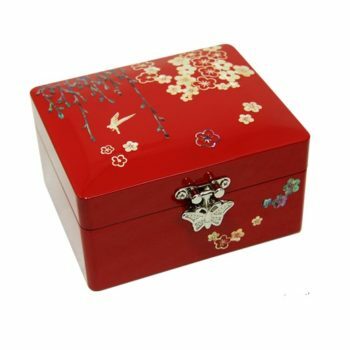 The entire box has been adorned with iridescent and lustrous mother of pearl pieces in a geometric pattern with a chrysanthemum motif. 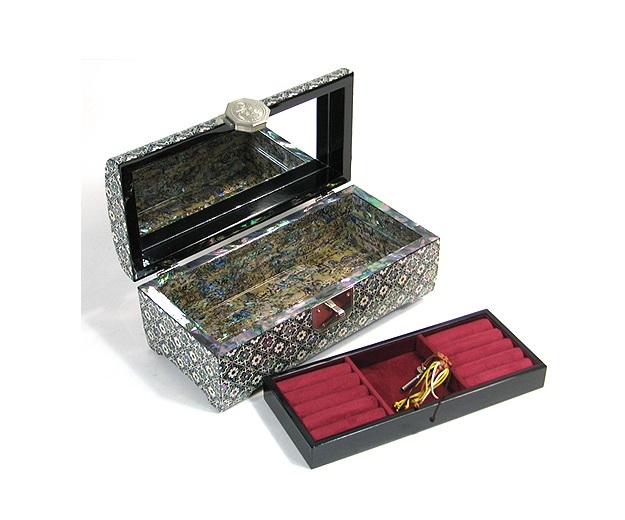 Open the lid and find a mirror inside with divided compartments inside for your small jewelry. 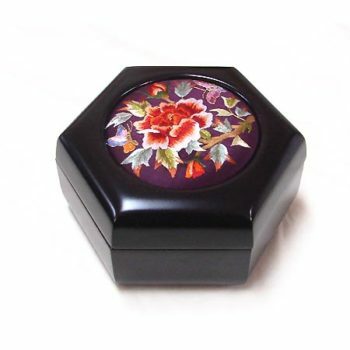 Remove it and use it as a full jewelry box for bigger pieces. 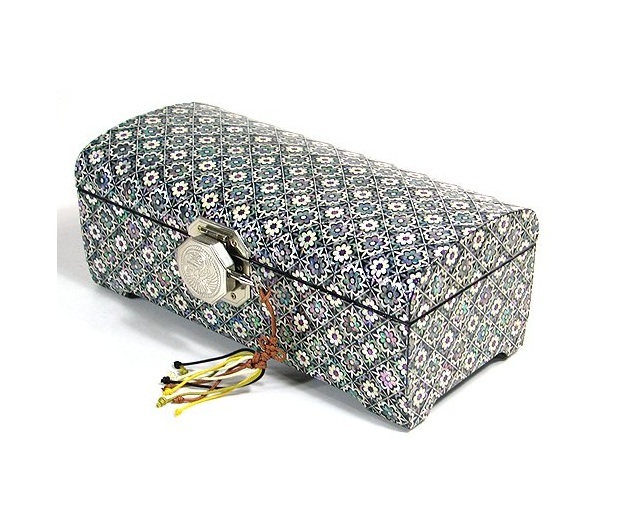 A traditional fish motif lock comes along with it to keep your precious items safe. 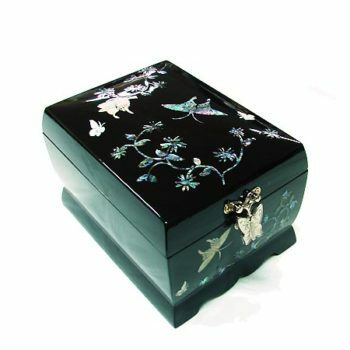 A wonderful mother of pearl craftsmanship to add to your item.